This story from Melissa Ortego during the early disarray which followed Katrina, was written to Melissa of our group, and thanking her. It is a very heart breaking story, and the one photo we have along with it, is at best haunting. 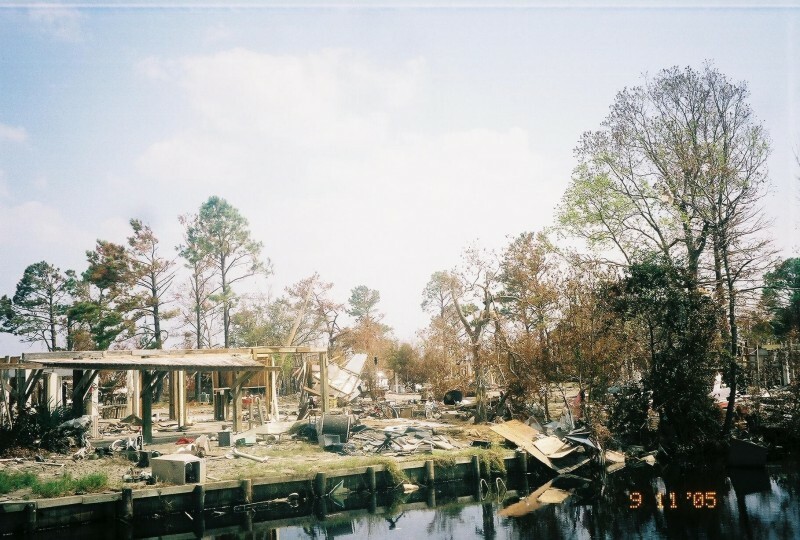 It is only one photo, but visually captures the total devastation brought on by Katrina on August 29, 2005. Put the picture together with the hands on account by Melissa, and you have a historical account of a storm that destroyed, lives, jobs, community and spirit. But you also have a picture of FAITH springs eternal and that HOPE will help Mississippi recover. Here is her story: You can click on the photo to see a larger version of it. This is our story…….Thank you…………. Words can never express how grateful we are for the wonderful gift and the helping hand in our dire time of need. Thank you so much for the generosity and compassion, but most importantly, thank you for the prayers. Christ is center in my life, and I know that he has his hand on our lives, directing our paths. We’ve been a church going praying family, for many many years now, we’ve been in Sunday School and we take our 4 children to church and raise them to be productive Christians. I wanted to tell you a little bit about myself and my family. We are originally from New Orleans. The Family migrated to the Bay St. Louis/ Waveland area back in the 60’s, my grandparents owned a "camp" on the water and my parents did a lot of fishing and had a lot of fun there. In the 70’s the "camp" was sold and my grandparents kept the vacant lot next door. In 1980, my grandma retired from Winn Dixie (a grocery store in New Orleans and Grandpa retired from Nabisco. He and grandma moved from New Orleans to Bay St. Louis, MS to retire. They of course built a little house on the vacant lot they had kept for so many years. Not long after, my mom and dad MISSED my grandparents so much, that they bought two vacant lots across the street from grandma and grandpa and built the house as that I knew as HOME for the past 25 years. I was raised in Bay St. Louis, MS, Graduated from Bay High it is a very small town and everybody knows everybody! I remember the first year that the "dockside" gaming came up for vote, it was voted OUT. In 1992: There are a lot of Christian folks in the area, but there is that political battle, like any other small town. The second year, 1993 it passed and then in came the big shots to town, flashing their cash, buying up every corner they could. My mom by then had already been established in her Consignment Shop namely "Just Looking" My mother knew everyone in town. It was sort of a poor town, before the gambling came in, I believe that EVERYONE in town eventually went to work at a casino. My mother has much to be admired, as her daughter, I’ve watched my mother raise myself and my older brother on her own, she was a single mother for 14 years, then she married my step-dad and gave birth to my little brother when I (her baby) was 11 years old. My Step Dad was great, however, when he was 41 yrs old, and my little brother now 14 yrs old, My Step Dad went to work one day and dropped dead of a heart attack in 1993…I had to watch my mother grieve for him, but she mustered up the strength and she was determined to raise my little brother, get him through high school and on to college………My mother did it, she was such a strong woman. Seven years after my Step Dad died, my mother started having these "Panic Attacks" I don’t know if you know anything about it, but it is REAL…….I left my family and went to move in with her, so I could run her store "Just Looking" and care for her……Once she started feeling better, she reminded me that the "ROLE"S haven’t changed yet and off to my home I went. Again, she mustered up the strength to keep on keeping on with her life…..A few months later in 2000, she ran into an old friend Jimmy Smith who she use to date back when she was in her 20’s and of course a single parent of 2………..SHE HAS NOT BEEN SICK A DAY SINCE……..HE HAS BEEN THE BEST THING TO COME INTO HER LIFE, SINCE HER HUSBAND DIED IN 1993……..
Jimmy is presently in the hospital, when mom and the other family members had to swim through the tidal surge to stay alive during Hurricane Katrina, Jimmy caught a really bad bacteria in his leg, he is a diabetic and he may have to get the leg taken off……..Heidi knows what kind of bacteria it is, and it’s bad……… Well, My mother has had so many things happen to her in her life. 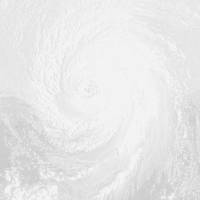 This Hurricane Katrina event has been what I hope is the final blow to her. She’s had to raise 3 children on her own, with no help from any of our fathers, My father took off when I was a baby, and My little brothers father died. This Hurricane took away EVERYTHING my mom has worked for her ENTIRE life. She has no earthly possessions. Through this Event, all my mom can think about is her customers and them being without clothing. She is wanting to get a truck and bring clothes from Habitat for Humanity to Bay St. Louis, so that people there can rummage through and have clothing for themselves. Mom is not alone, my little brother J.R., who is 26 was living with mom, along with his wife Erin, JR is a manager at Chuckey Cheezes (a kids pizza parlor with games) and Erin, is a store manager for Kay Jewelers. They were living with Mom so that they could save enough money up and buy themselves a house on the coast. Their dreams have been shattered, Erin was wanting to get pregnant by next year, she’s developed endometriosis and her doctor says she should try to get PG soon. My little brother grew up in the house that was blown away, it’s all he’s ever known……..It’s all I’ve ever known to be safe. It was home, Our hometown, everything we’ve ever known to be true and safe, is gone….Friends have died: Friends have lost houses, businesses, cars, everything is just gone……..
My older brother Greg and his wife Patti and Three children, Harry, Michael and Jenny: They lived in a small trailer house for 10 years. They saved enough money last year to build them a nice modest 4 bedroom home, they put half down and they only had another $75,000 to pay on their approx. $180,000 home. Katrina flooded their home with 9 feet of water, Katrina moved the home off of it’s foundation and left 18 inches of black sludge inside the home. The house will have to be demolished now. My Uncle Joe, moms brother lived across the street from Mom, The house is completely gone. Imagine a house vaporizing, it is not there: He lived in the house that once belonged to Grandma and Grandpa. After their death, mom and aunt Sue sold him their share of the house. I have SO MANY fond memories of that house. My grandma had a rocking chair that she would sit in to rock my baby, (Joshua, my son who is now 12) When my grandma was sick, I was the only one in the family that could manage to muster up the strength to feed her and change her and care for her needs. As a child, up until grandma died, her and I would lay in bed at night and watch TV, our favorite thing was to watch the beauty pagents, Miss USA, Miss Universe, we would eat ice cream and watch TV, During Katrina, the actual bed got damaged, I found it in a pile of debris, and Salvaged the head board and foot board, My husband could not understand why I was salvaging an old out dated wooden bed, I explained to him the many memories I had connected to that bed, I don’t know if he understood, or if he does now, some things, others will never be able to understand. The bedroom set that went with that bed, the Handle Pulls for the drawers made this distinctive sound as the drawer would close, it jingled a little, In Recent years, whenever I would hear that sound, it would bring me back to that bedroom, in that bed, with grandma, watching the beauty pageant on TV…………….I’ll never hear that sound again… …….I’ll never have that in my life to bring me back to and remind me of those moments… ……That house………Those memories………..All is Gone………Katrina took it away…………………Unbelievable…………. Aunt Sue, moms sister lived near the beach in Bay St. Louis. Her house is next to the Power Companies Sub Station, an area of town considered by most to be high ground. However, Nothing or No Place escaped Katrina’s Tidal Surge. Mom, Her brother and Sister, Jimmy and Aunt Sue’s Husband, Uncle Rae with lack of a better judgment elected to "Ride Out" the storm at Aunt Sue’s house on Booslog and Eighth St. There were so many previous wolf cries that Mom wanted to be close to her house which was waterfront, and her store, for the usual aftermath, which the worse thing that really ever happened after the hurricanes in that area were the power outages. Meanwhile, Myself and Family Evacuated Covington and went to Hammond, about 20 minutes west of Covington, to ride out the storm with my Husband’s family at a cousin’s house. ON the morning of the storm, at 6:30am, My husband’s cousin woke me up and said, "There is a 24 foot wall of water headed to Bay St. Louis" I immediately woke up out of a dead sleep and got on the phone to call my aunt’s house to alarm them that the wall of water was on it’s way. I called and Jimmy answered the phone. I told him what was seen on the television that we were watching and that a wall of water was headed their way, His response was that they don’t think it would hit them and that they had been watching the News on Television and it was reported that the Hurricane was still headed to New Orleans. This was the last communication I would have with my family until the Following Thursday after the Hurricane…..
My Neice Jennifer: age 14 Size L womens shirt, Size 12 womens size pants/shorts. Shoe size 10. and Yes she is big for her age. My brother, Greg Liverett (the childrens father) Size 36Wx36L pants/shorts Size XL mens shirt and a size 13 shoe. My sister in law: Patti Size Small shirt, Size 6-8 pants/shorts and a size 8 1/2 shoe. My Uncle Joe: Size XXL shirt, Size 38-40x30L mens pants/shorts and a size 10W shoe. My Aunt Sue: Size M shirt, Size 10 pants/shorts and a size 9 shoe. My Uncle Ray: Size XL shirt, Size 38-40x30L pants/shorts and a size 10W shoe. Reading glasses of 3.oo are needed also. My Brother JR: Size XL shirt, Size 36x32 pants/shorts and a size 10 shoe. My sister in law Erin: Size Small shirt, a size 6-8 pants/skirt and a size 10 shoe. Our Long Term needs will be food and of course housing. The most needy person is my mother Gail Farrell. Mom is 62, and her house was almost paid for. She owed $60,000, Her business kept her "head above water" and paid her house note, and utility bills. We have filed a claim with State Farm Fire and Casualty and even though mom had the required flood insurance of $15,000 for her downstairs area which consisted of 2 large rooms with a bathroom (where my brother and his wife lived) State Farm has denied her homeowners policy stating that Hurricane Katrina did not BLOW her house away, that A flood took the house away. We have not even found the house yet, as you can see from the ;pictures, the house is gone, just gone, we can’t find it, I guess it is in the Gulf of Mexico somewhere. Unbelievable. Just Unbelievable…That’s the only words I can use to describe it right now. Unbelievable…..No debris around, just pilings…. Only three in ten coast residents carried flood insurance. Before Hurricane Katrina, mom’s house was worth approx. $280,000. My mother was a struggling 62 yr old woman, how will she ever get a mortgage loan, much less start all over again at her age. This is our story, praising our Savior, all the day long……… Please share this story with everyone you can: We are a family who usually wouldn’t ask, but we do need help and I believe that Christ wants us to ask for help…Thank you so much: Thank you….. I have some pictures I can e mail if you are interested. The pictures paint a picture, but no where near what the actual devastation is . I know that Christ has his hand on our lives and he will provide for us. On Christ we stand, all other ground can be blown away! NOTE: Alan has removed the mailing address and phone number that was included with this story and is making contact to find out she still has needs.